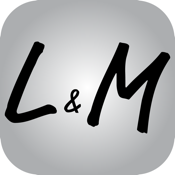 L&M Pharmacy was established by Robert Musso and has been serving New Iberia, Louisiana since 1957. Matthew Musso, son of Robert Musso, now owns and operates L&M Pharmacy. L&M is always centered around the customer as we value having a strong bond between our pharmacy and our patients. Please stop by or call us today to learn more about all the ways we can serve you and your family!